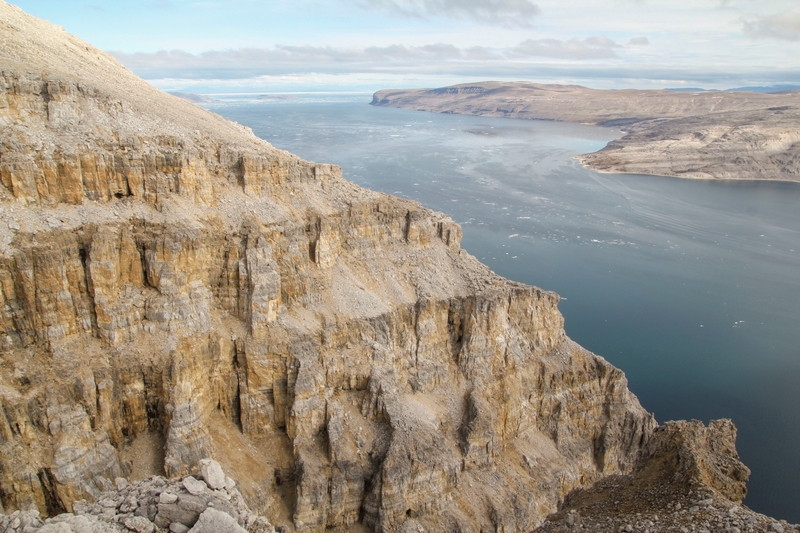 To pinpoint the fossils’ age, the researchers pitched camp in a rugged area of remote Baffin Island, where Bangiomorpha pubescens fossils have been found. There,despite the occasional August blizzard and tent-collapsing winds, they collected samples of black shale from rock layers that sandwiched the rock unit containing fossils of the alga. Using the Rhenium-Osmium (or Re-Os) dating technique, applied increasingly to sedimentary rocks in recent years, they determined that the rocks are 1.047 billion years old. Scientists from the Lawrence Berkeley National Laboratory, the California Institute of Technology, the University of Alberta, and the Geological Survey of Canada contributed to this study. Funding for the research was provided by the Agouron Institute, the Natural Sciences and Engineering Research Council of Canada, the Polar Continental Shelf Program, the Geological Association of Canada, and the Geological Society of America. “Precise age of Bangiomorpha pubescens dates the origin of eukaryotic photosynthesis,” Timothy M. Gibson, et al. Geology, published Dec. 8, 2017.